The Old Mill was the place in Mill Town where most people worked. Years passed and the mill closed. But something remained inside it. The Specials is a tale of a suburban street in Yorkshire and the families who live there. One day the events of years past begin to weave a deadly effect and murder and mayhem ensue. DCI Revie and his team must solve the case and stop the body count, before there is no one left to tell the tale. When John Prideaux gave evidence in 1606 at the Star Chamber about Anne Gunter, he did so as a well-known and respected Oxford academic. 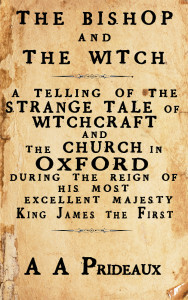 At the 1604 Witch Trial at Abingdon her alleged tormentors, Elizabeth Gregory, Agnes and Mary Pepwell were ultimately found to be innocent. Anne was sent to stay with Henry Cotton, the Bishop of Salisbury until her father confronted the King and asked him to intervene in the bewitching case. John Prideaux (1505-1568) told a mysterious story to his dinner guests one snowy winter’s evening. Before the end of the night, the group became involved in the story, trudging onto Dartmoor from Stowford, meeting more than one strange person. The story begins in a modest home in early Edwardian Leeds, where the Prideaux family await a surprise event on Christmas Day 1902. 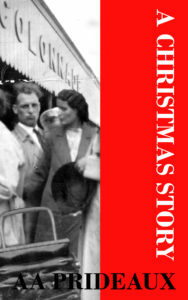 The story takes the reader from 1902 to 1993 in a short story and gives a flavour of what Christmas meant to Clifford and his family.A Christmas Story gives the reader an idea of the times prior to the Great War for those with no money and no property. The story evolved after a permitted visit to Denbigh Asylum, also known as North Wales Hospital, a building which has been allowed to fall into serious disrepair following its enforced enclosure. 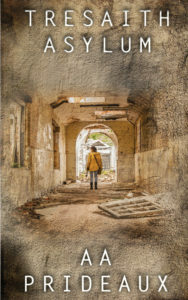 Tresaith Asylum gives a fictionalised account explaining some of the peculiar events and destruction which have taken place since the doors of this real hospital were finally closed. 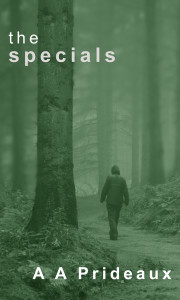 DI Revie is the lead detective in this case and Tresaith Asylum details one of his investigations prior to his move to Yorkshire and appearance in The Specials. He is joined by DS Buchanan who experiences more adventures than are probably good for him. We soon discover that Dr. Selina Tresaith, the Superintendent of Tresaith Asylum, is not necessarily the compassionate woman she would like everyone to believe. The Asylum had been set up by her family during the 1800’s as a perceived compassionate gesture but was in reality a money making scheme. 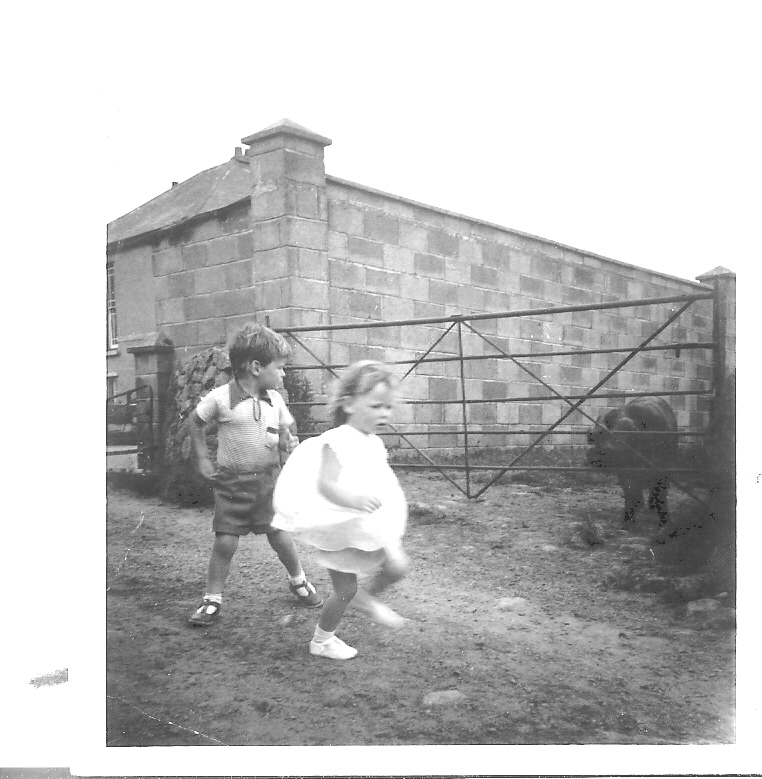 The murderers, rapists and misunderstood of the area had been living off the radar at the Asylum for years with their families paying substantial amounts to the Tresaith family in order to keep their loved ones out of the reach of the law and society. These forgotten inmates were not relocated once the Asylum closed and Selina Tresaith has to keep them hidden in order to avoid serious repercussions from the authorities and locals alike. We meet ghosts, experience parallel dimensions and learn much about the misconceptions of life and death at Tresaith Asylum. 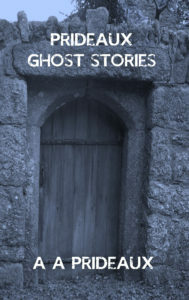 What makes these stories different is the paranormal involvement and the strange happenings which shaped their live and those of their descendants. 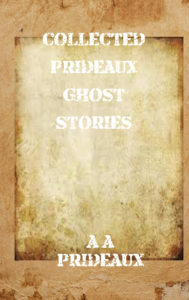 Collected Prideaux Ghost Stories is another in the series of Prideaux ghost stories. 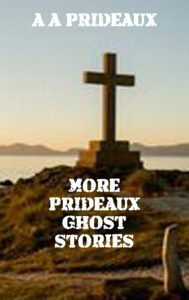 It follows the book More Prideaux Ghost Stories and precedes A Christmas Story. The Starling Tree features John Prideaux. He runs from his birth town of Chudleigh after experiencing the terrible fire which occurred there. His travels take him to Leeds and London and he learns that bad thoughts and deeds do create things which may have affected his life in ways he could not have foretold. Christmas at the Workhouse features Matthew Prideaux. A life of poverty and death did not stop him educating himself through his own efforts. During his final hours on Christmas Night 1887 he has a conversation with a young school teacher. 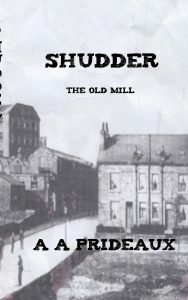 As she takes notes about conditions in the workhouse she soon learns that not everyone who dies has left the building. Cherry Ripe features George Herbert Prideaux. A chance meeting with the prison guards who had attended a hanging at Armley Gaol sends George on a path which altered his whole life. 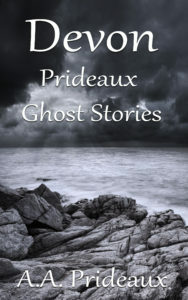 These are tales of the ancient Cornish Pridias family, now known as Prideaux. From Paganus de Pridias in the 11th Century to Geoffrey de Pridias in the 13th Century, we follow seven members of the Pridias family who each share an unusual tale from their lives. These tales weave Cornish legends with the lives of real historical figures, written by one of their descendants. Blood of the Lyon Men features Paganus de Pridias, Lord of Pridias and the story covers the death of his father Richard and the means by which his mother, Jehanne and his wife Tristen, both pure Melusine women, discover his murderer. The Pattern of One features Richard de Pridias and follows his dealings with Ordagar, the ruthless Prior of Tywardreath and the resulting tragedy which occurs. The Bridge of Incidents features Baldwin de Pridias. His story is about the bridge he built at Ponts Mill and the unusual guardians of the hermitage and the Pridias lands. The Hanged Man features Nicholas de Pridias and his family and the strange events which occur in the woods and the chapel one stormy day. The Jousting Lords features Richard de Pridias and his twin brother Herden. The story takes us to France and the Tournament circuit there and then brings us back to Cornwall where there is a most unusual event. The Priestess features another Richard de Pridias and his meetings with a magical Priestess and the interactions with his sons, who believe he may be suffering from senile decay. I Am Rich features Geoffrey de Pridias who is trying to find the secret documents his dead father Richard, has left for him in a secret place. His determination not to let the documents fall into the wrong hands leads him to a terrifying meeting he did not expect. 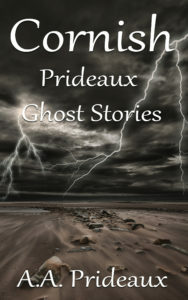 These are tales of the ancient Devon Pridias family, now known as Prideaux. From Geoffrey de Pridias in the 13th Century to John de Pridias in the 15th Century, we follow seven members of the Pridias family who each share an unusual tale from their lives. These tales weave Cornish legends with the lives of real historical figures, written by one of their descendants. The Sheriff of Devon features Roger de Pridias, and the story introduces the Mothecombe Coven where his wife is a senior member. A talisman owned by Edmund, Earl of Cornwall is brought to the temple in Mothecombe woods for verification. 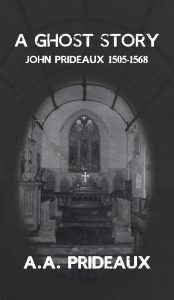 The Mothecombe Coven features Peter de Pridias and his rediscovery of the book written by his Cornish ancestor Richard de Pridias. He discovers how powerful and influential his parents are in the County and the coven. Ice Day at Sequers Bridge features Sir Roger de Pridias. His story is about an very unusual occurrence with a huge flying metal carriage which abducts Sir Roger and some other locals during the coldest Winter on record. Big, Black Rats features Sir John de Pridias and his family and the battle they had with the large rats which roam the lands and begin to attack people and animals. Ghost Ship features Giles Prideaux and his meetings with Geoffrey Chaucer and John Hawley at Dartmouth where they discuss the recent ghost ship sightings. Burial Ground features Sir John Prideaux and his visit to an ancient copse on his land. There he is forced to see the ghosts from his past. 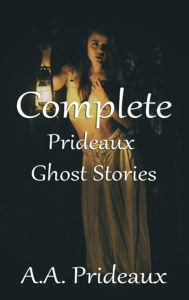 It is difficult to recognise a ghost features William Prideaux and his jealousy of his wife’s relationship with their friend William Woolacombe and its tragic outcome. The Terror of the Thunderstorm features John Prideaux and the unusual and terrible storms which are frightening the residents and killing some of them. 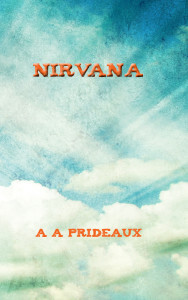 The work of AA Prideaux is published by Paganus Publishing.